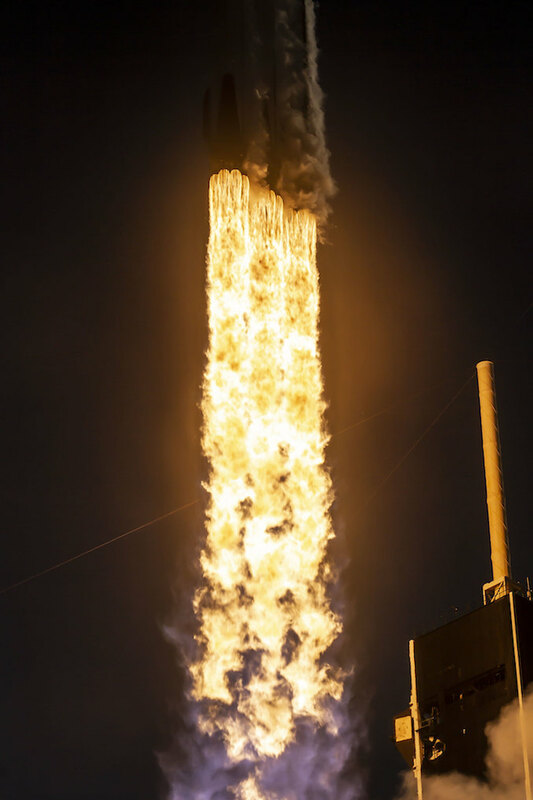 The triple-core rocket, powered by 27 Merlin main engines, fired away from pad 39A at NASA’s Kennedy Space Center in Florida at 6:35 p.m. EDT (2235 GMT) Thursday, heading toward the east over the Atlantic Ocean with the Arabsat 6A communications satellite. 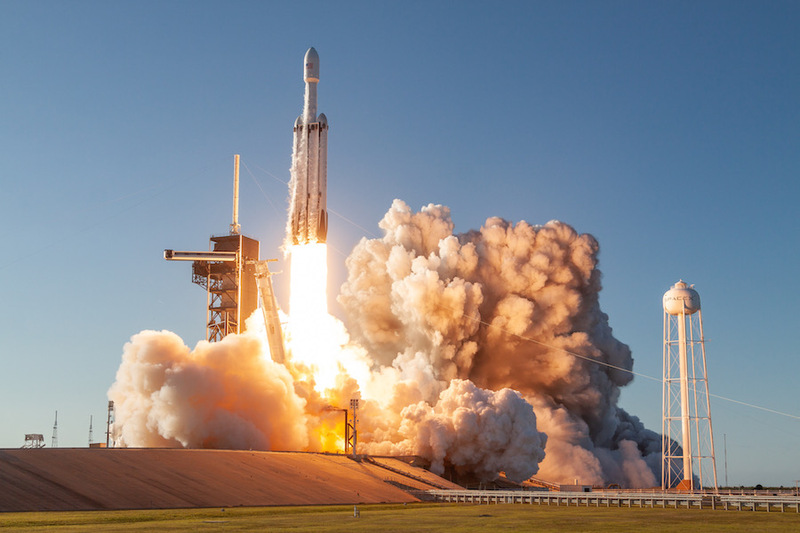 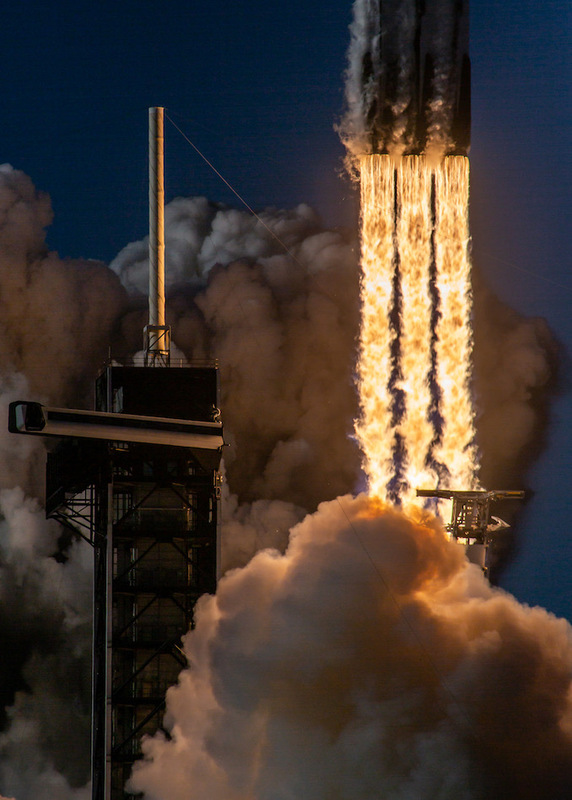 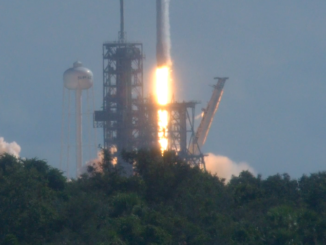 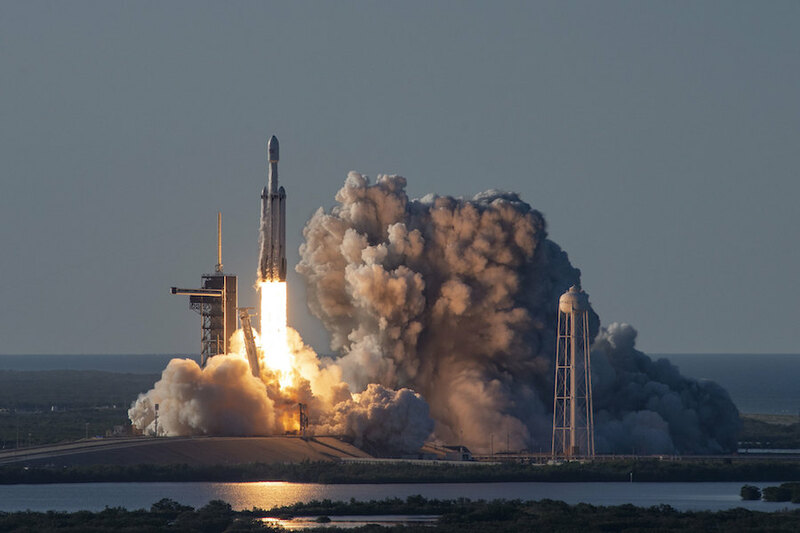 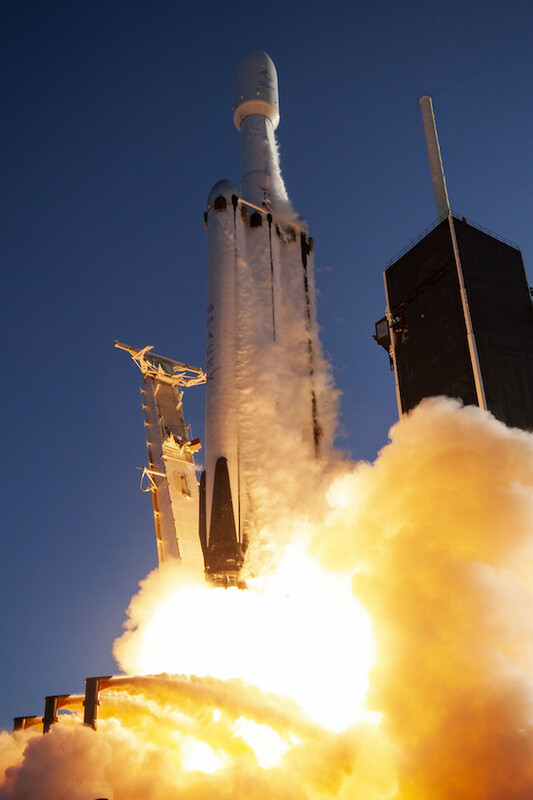 Thursday’s launch was the second for SpaceX’s Falcon Heavy, and the mammoth launcher’s first flight for a paying customer. 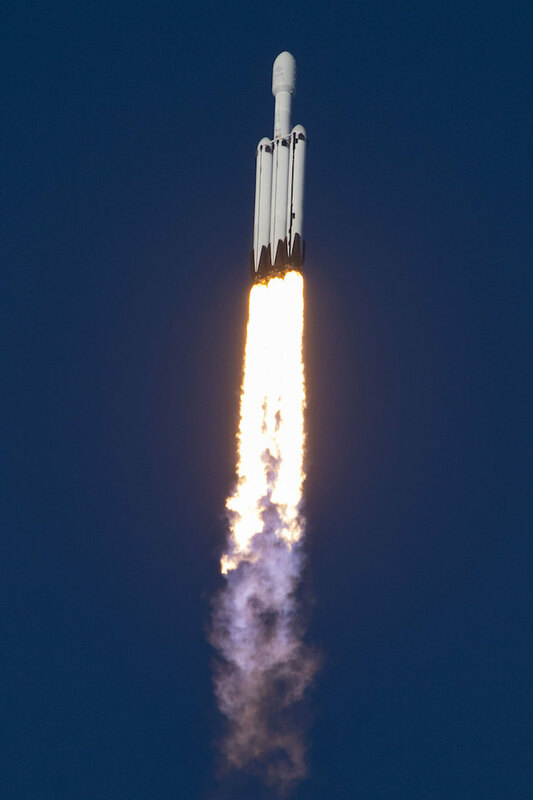 Two-and-a-half minutes after liftoff, the Falcon Heavy’s two side boosters detached and returned to Cape Canaveral for nearly simultaneous landings at SpaceX’x landing zones around 9 miles (15 kilometers) south of pad 39A at Cape Canaveral Air Force Station. 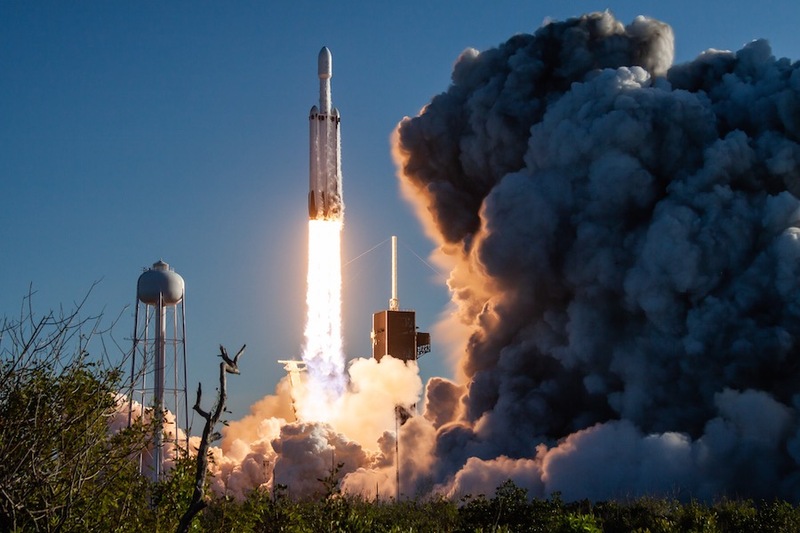 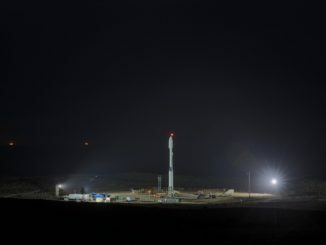 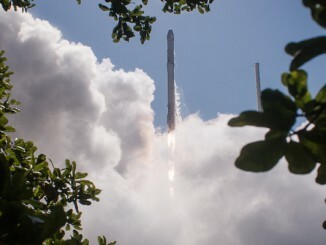 Meanwhile, the core stage successfully landed on SpaceX’s drone ship in the Atlantic Ocean more than 600 miles (nearly 1,000 kilometers) downrange from Florida’s Space Coast, while the second stage continued into orbit with Arabsat 6A. 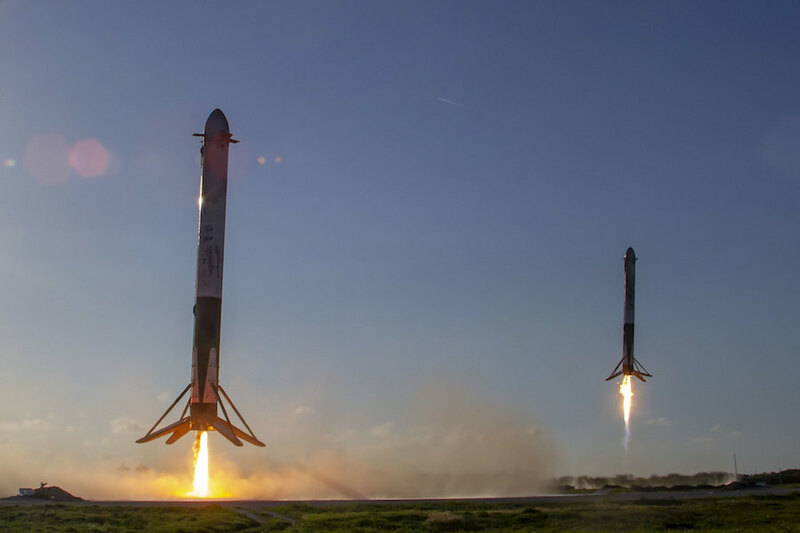 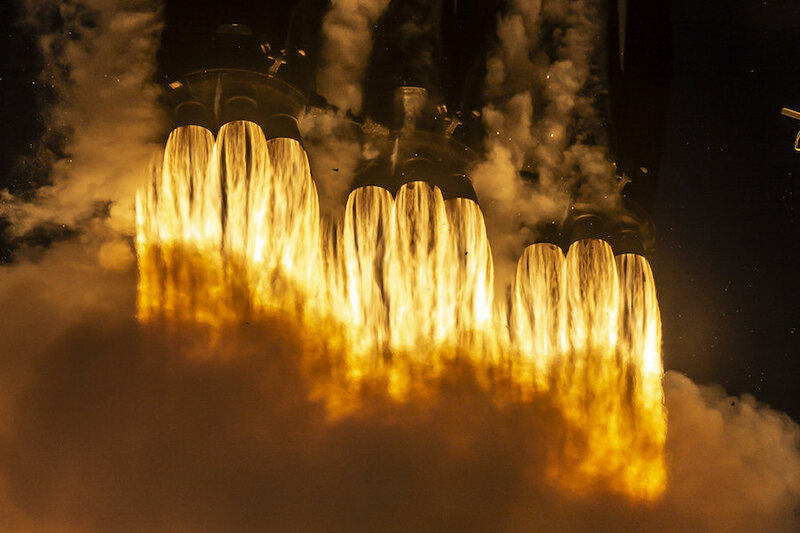 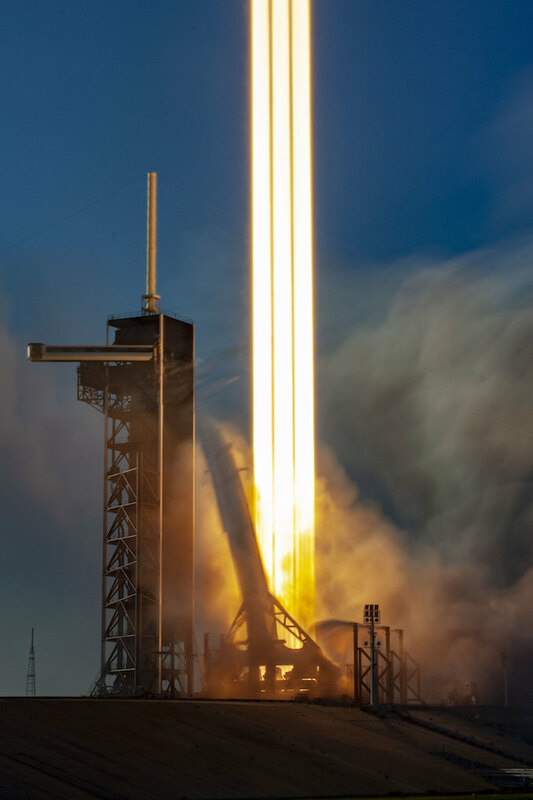 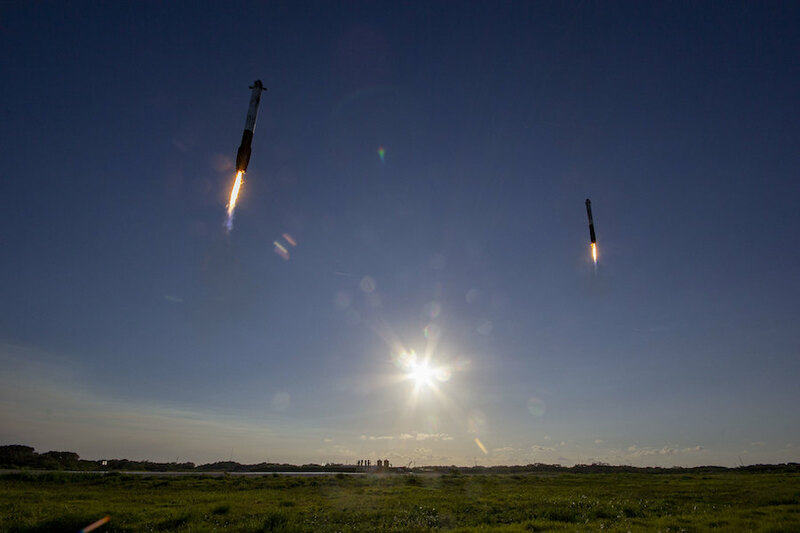 These photos show the Falcon Heavy’s fiery blastoff from pad 39A, and the landings by the rocket’s two side boosters a few minutes later.